It’s spring! Have you been enjoying the nice, sunny weather? We often get asked about sensory-friendly outdoor activities. It’s really not as complicated as you might think. Many of the things we do with our typically-developing kids are also great to do with our kids with sensory issues. One thing we like about the outdoor environment is that it provides several different sensory experiences that the indoor environment does not provide. You have things like the climate, wind, sun, grass, bugs, sand, gravel—you have all these things that are sensory-rich textures. We always try to work with our clients on having them take their shoes off and tolerate textures that are outside. It’s true that in Texas we have pretty rough grass, so we try to find areas where the grass is softer and they can try walking in it. We also have them try walking on rocks, and on different surfaces. Many of these things are available right at your local park! You don’t have to go far to find these kinds of sensory experiences. Also, parks these days have great equipment! 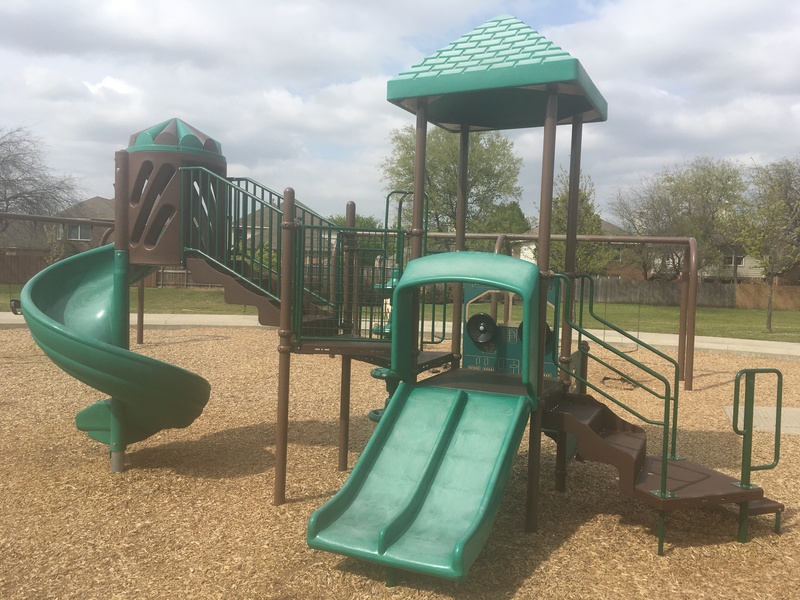 They have jungle gyms, and uneven surfaces to walk on, ladders to climb, and slides. Coming down a slide is a vestibular activity. Climbing up a ladder requires you to integrate both sides of your body. Going on an unsteady surface requires you to use your balance. Think of some of the things we do with water play like the Slip ’n’ Slide or the Hippity Hop ball. There are all kinds of badminton and coordination games where we’re catching balls and throwing them at targets. There are also a lot of eye-hand coordination activities you can do. You don’t have to do something technical or medical to make it a therapy activity. Many things that you do in the natural environment can help. So enjoy the beautiful weather that we’re having right now, and get outside and have some sensory-rich fun! What outdoor activities do your kids enjoy?